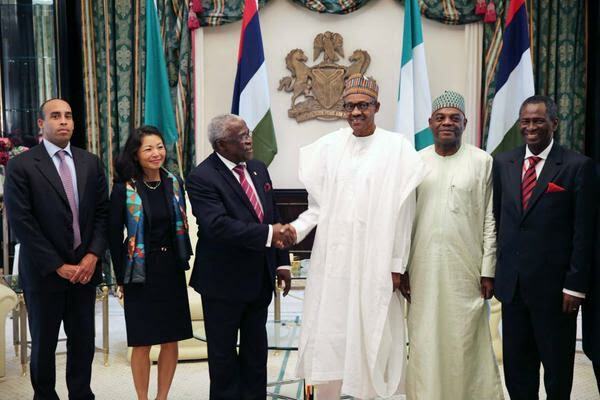 Yesterday, President Muhammadu Buhari said that his administration would henceforth take agriculture seriously, saying that crude oil and gas exports would no longer be sufficient as the country’s major revenue earner. The President stated that his government would cut short the long bureaucratic processes that Nigerian farmers had to go through to get any form of assistance from government, stating that it's time Nigerians took Agriculture seriously. 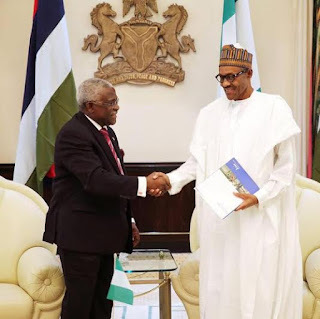 The President Buhari spoke when he received Dr. Kanayo Nwanze, the Nigerian born President of the International Fund for Agricultural Development (IFAD), at the Presidential Villa on Friday. “It’s time to go back to the land. We must face the reality that the petroleum we had depended on for so long will no longer suffice. We campaigned heavily on agriculture, and we are ready to assist as many as want to go into agricultural ventures,”. The president said that improvement of the productivity of farmers, dry season farming, and creative ways to combat the shrinking of the Lake Chad will also be given the necessary attention. He told the IFAD President that improvement of the productivity of farmers, dry season farming and creative ways to combat the shrinking of the Lake Chad would also receive his administration’s attention. Dr. Nwanze congratulated President Buhari on his victory at the general elections and assured him that IFAD was ready to give all possible assistance to the Federal Government and Nigerian farmers to boost agricultural production in the country. IFAD is an international organization dedicated to addressing issues of agriculture and poverty alleviation.